How many of you plan for your exams months before your exams? One of the most common strategies is to cram the exam content few weeks before exams. But is this the right & the only way?. Does cramming help you gain knowledge that you can use post exams? 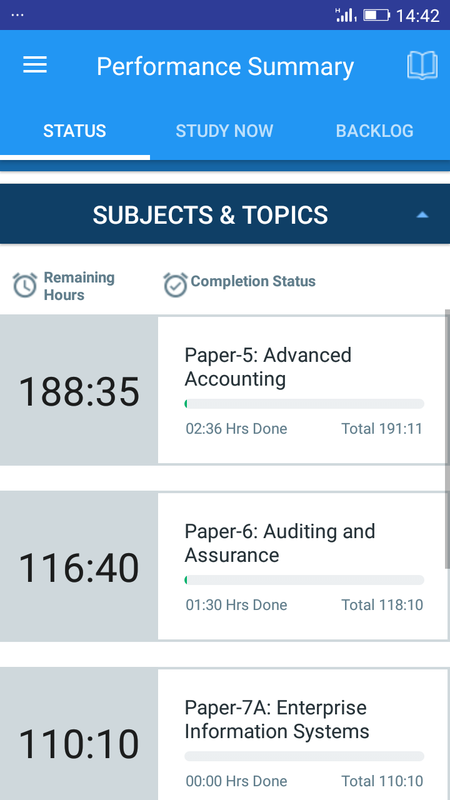 We at MarksMate help you with intelligent exam planning, so you are ready prepared for exams without having to spend sleepless nights cramming. A systematic acquisition of knowledge also helps you retain it for a longer period effortlessly. 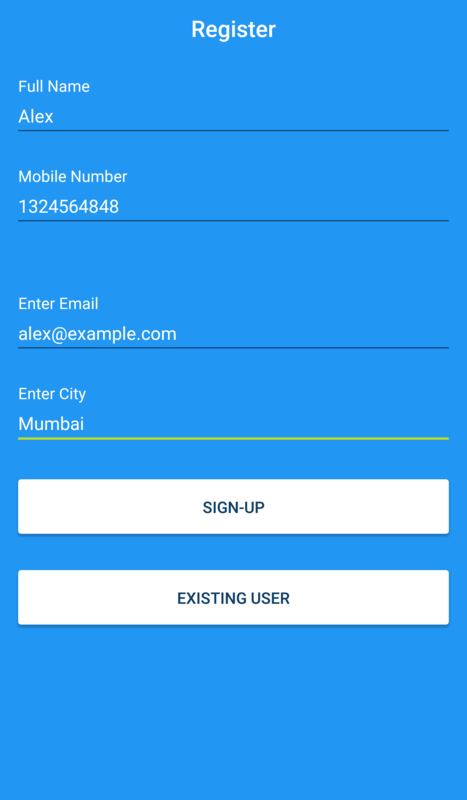 The methodology which was earlier worked manually has now been converted to a web app. Take a look at some of the features of the this web app. 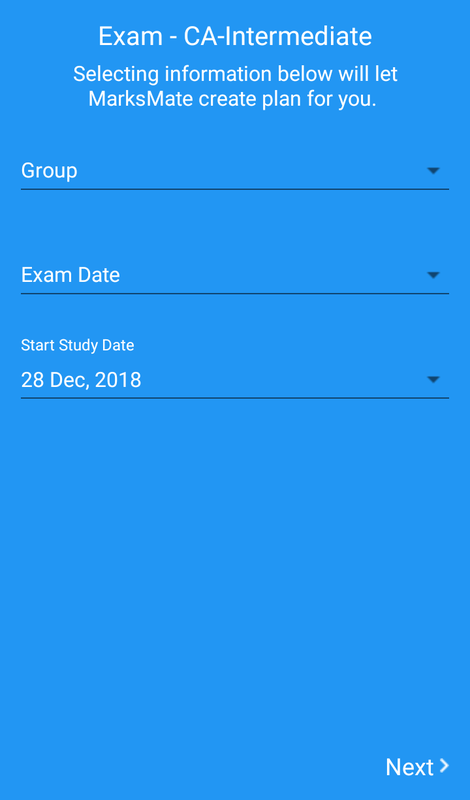 We perfectly understand that when studying it can be distracting to have internet connection "ON" all the time on your mobile. 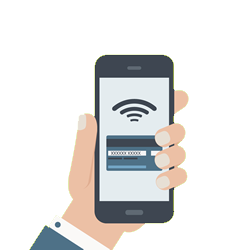 Thus we have designed MarksMate so that it needs only to sync with our remote server for a few minutes in a day, after which you will be able to use MarksMate offline for the whole day. 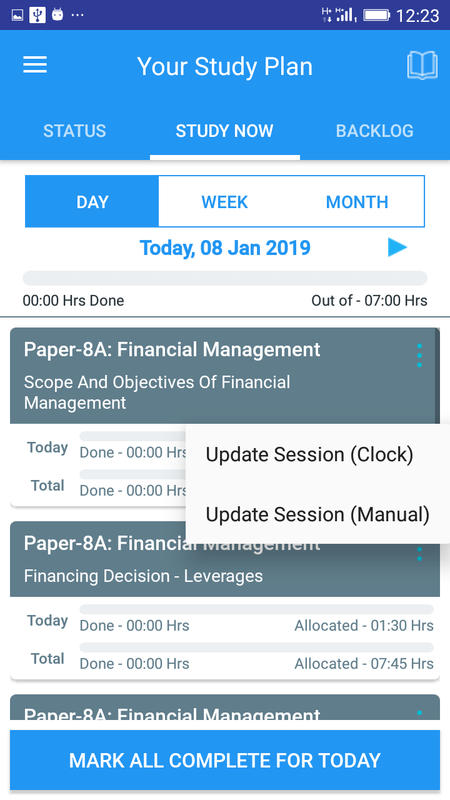 We suggest you to start MarksMate App once in the morning so that it gets opportunity to sync, present you study plan for the day & display any new notifications from your class too. MarksMate has a quick and easy registration setup that requires hardly a few minutes to complete & you are good to start. Each plan is primarily customized based on set of questions before the registration. The plan is then tweaked daily based on your study pattern & time available. 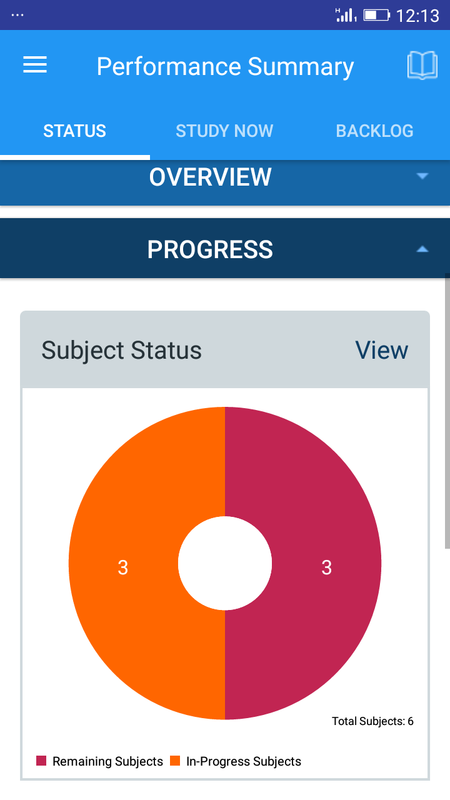 MarksMate has a customisation engine that uses sophisticated algorithms to calculate personalised study plan. When you want to start studying. 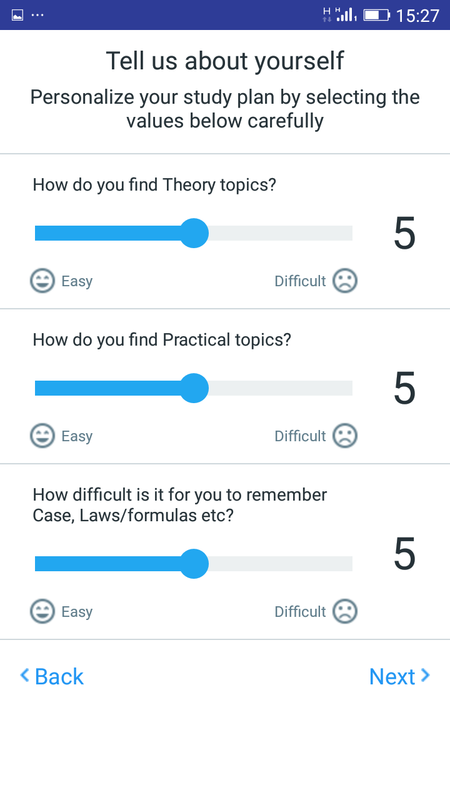 In case you have already completed subjects or topics before purchasing MarksMate, you can mark those topics which are already done. MarksMate can then prepare a plan for remaining topics. 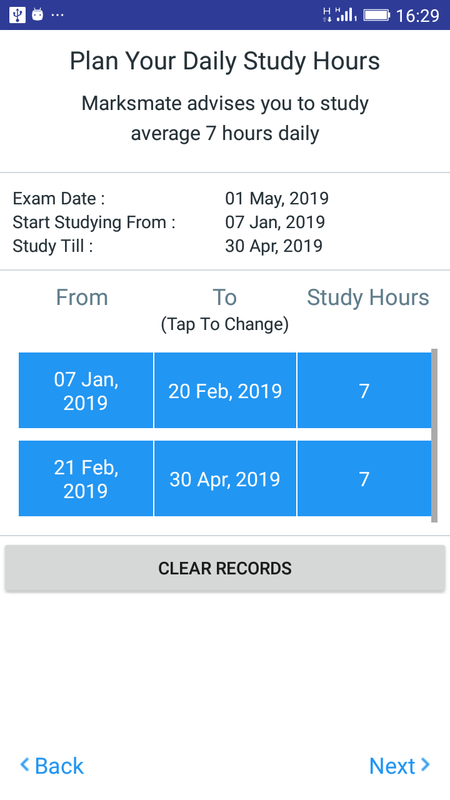 MarksMate allows you to specify study hours for different dates, so incase you are unable to study for few days the same can be marked in the app. MarksMate will build the plan accordingly. Similarly you can specify different study hours for weekends. All of the above help you build high degree of customisation so that you can get a plan that perfectly blends all the time to your needs & time availability. 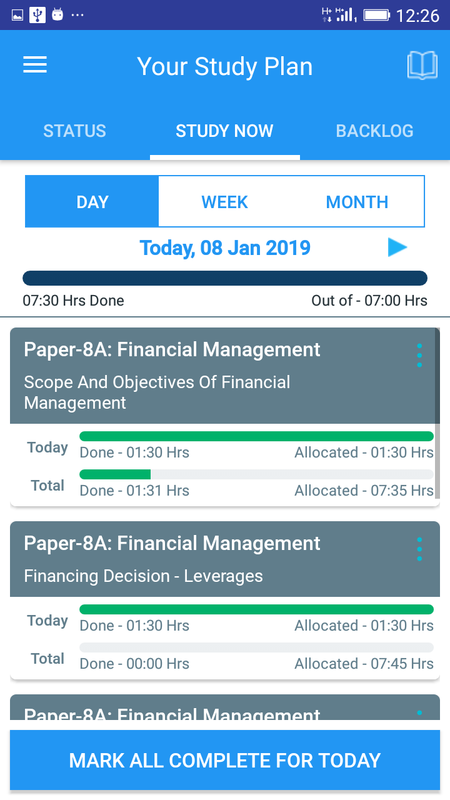 MarksMate creates a study plan for you based on your selections, available time and a strategy created by our experts. The plan is not just customised, but creates a ‘best fit’ plan adjusted to the available time. Want to study different topic today, no problem. We will blend your choice with the experts study sequence. All the built-in algorithms for such allocations run behind the scenes automatically. A fresh plan is served daily, based on your previous day study. Or Manually update the time anytime. 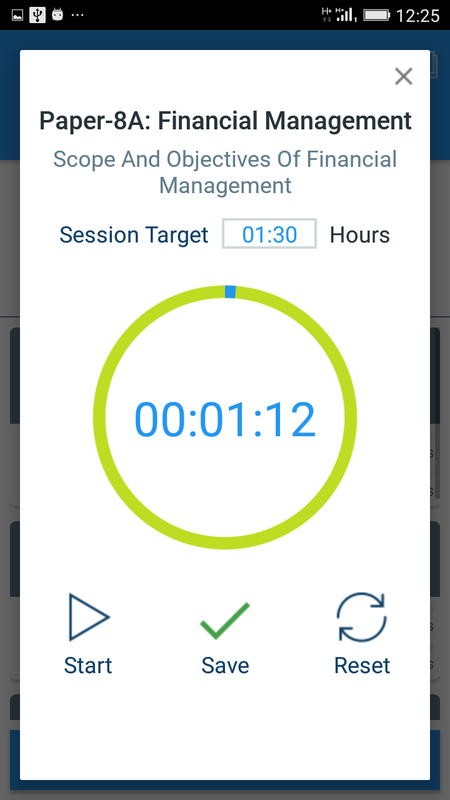 Just a few minutes & the app will the rest of intelligent planning for you, based on the targets you have achieved the previous day. 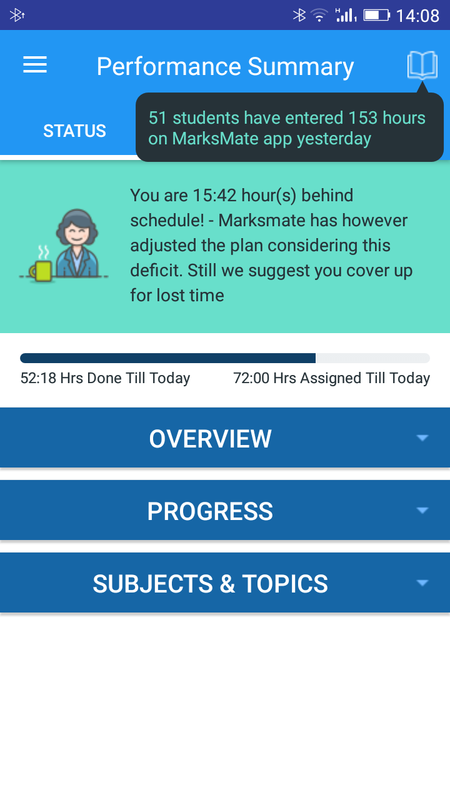 MarksMate takes the headache out of monitoring & replanning your study schedules. In fact, this is the essence of MarksMate. ALL THIS IN JUST A FEW SECONDS A DAY !! !